We are pleased to announce that you can now digitally model SageGlass dynamic glass solutions on Revit through our Building Information Modeling (BIM) objects library! SageGlass’ BIM objects library offers a user-friendly service empowering architects and designers to explore our cutting-edge product line and learn more about our dynamic glass, including shape, size and color offerings. In the library, users can select the product and associated Revit object of their choice to download from the SageGlass website and paste into Revit in order to easily incorporate SageGlass into the project design. These designs can even include customization for glass panel tinting features that are displayed in the final rendering of the structure. The Revit objects library will provide real-time and regular updates on the full SageGlass product line. We are excited to provide this offering; our parent company, Saint-Gobain, has been involved in digital modeling and providing BIM capabilities since 2004 in order to make its building materials and solutions easily available and accessible to construction sector professionals. SageGlass and the Saint-Gobain family of companies’ adoption and implementation of these offerings symbolizes the organization’s ongoing commitment to embracing the prevalent role of technology in the building and construction industries while helping to simplify the building experience. With this tool, architects and designers can bring a future building to life by creating a digital model of the structure before ground is broken and can even modify the design through the construction lifecycle. 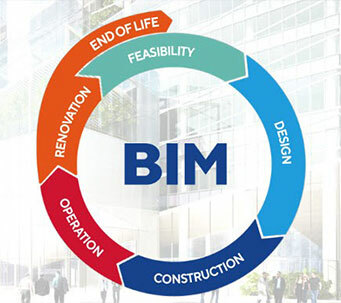 The digital platform is sure to inspire further collaboration and give all parties involved – including project managers, architects, contractors, designers, engineers, consultants and material suppliers – access to the building’s physical and functional features to create a smoother, more streamlined project development process. We also believe that the release of this service will provide new design possibilities for architects and designers looking to optimize their overarching building sustainability and comfort goals. For more information, visit the SageGlass BIM objects library and check out our video tutorial. SageGlass BIM objects can also be found on the Saint-Gobain BIM library and Polantis BIM and CAD library.